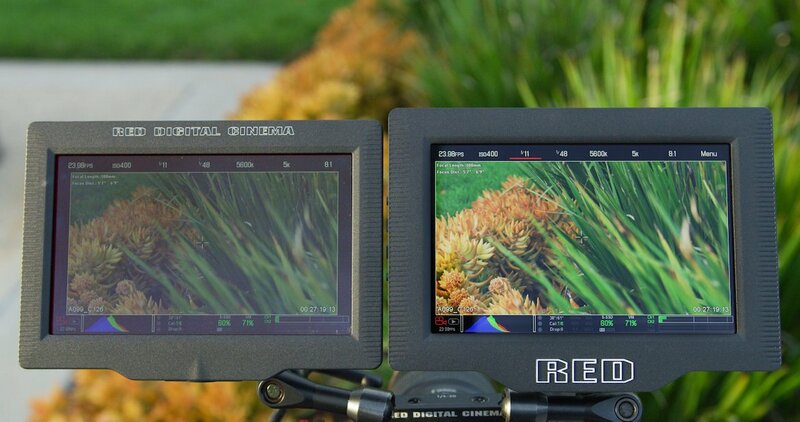 Today, RED Digital Cinema introduces the DSMC2 Touch 7.0” Ultra-Brite LCD Monitor to its line of innovative camera accessories. The new RED DSMC2 Touch 7.0” Ultra-Brite LCD Monitor is a robust, optically-bonded touchscreen with Gorilla Glass that provides the most intuitive way to navigate menus, adjust camera parameters, and review .R3D clips directly out of the camera. It offers a brighter, high-definition viewing experience for recording and viewing footage on DSMC2 camera systems, even in direct sunlight. A 1920×1200 resolution display panel provides 2,200 nits of brightness to overcome viewing difficulties in bright outdoor environments, and the high pixel density (at 323 ppi) and 1200:1 contrast ratio deliver exceptional image quality. The Ultra-Brite display mounts to RED’s DSMC2 BRAIN or other 1/4-20 mounting surface and provides a LEMO connection to connect to your camera, making it an ideal monitoring option for gimbals, cranes, and cabled remote viewing. Shooters can use a DSMC2 LEMO Adaptor A in conjunction with the DSMC2 Touch 7.0" Ultra-Brite LCD for convenient mounting options away from the DSMC2 camera BRAIN.